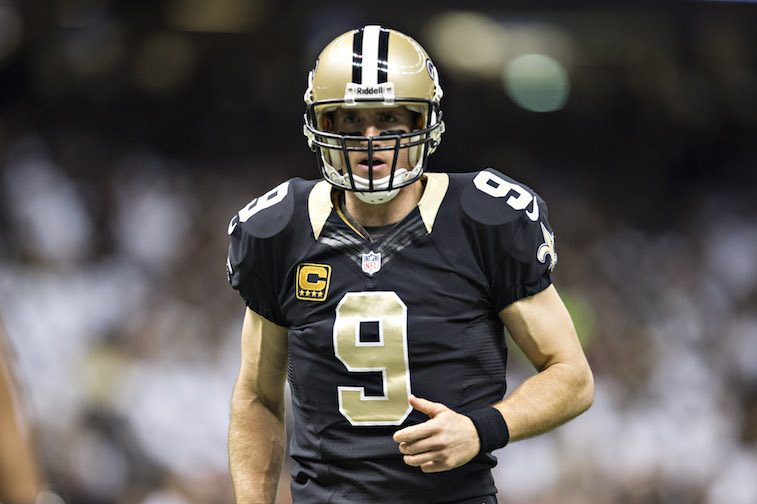 It’s no secret that the NFC South was, simply, the worst division in the NFL last year. Even now, the fact that not a single team finished above .500 is just brutal to think about, and although the Carolina Panthers won the division with a 7-8-1 record, and won a playoff game against the Arizona Cardinals, it doesn’t make things any better. In case you forgot, Carolina faced a Cardinals team who was essentially playing with no stability at the quarterback position. While the Panthers got better as the year went on, this entire division as a whole just left a whole lot to be desired, both on paper and on the field. Fortunately, the 2015 season is going to be a different story for the NFC South. Not only for the Panthers, but the New Orleans Saints, Atlanta Falcons and even the woeful Tampa Bay Buccaneers. It shouldn’t be surprising to see each team in the division improve this coming season, and there are strong arguments behind the expectations for each of the four teams. We’ll start with the two-time defending NFC South champs. Sure, they were under .500 last year, but they have two of the best linebackers in the NFL in Luke Kuechly and Thomas Davis. On top of that, their secondary has quite a few young and hungry playmakers, including Josh Norman. This defense should be able to dominate in 2015, as long as they are able to find a consistent pass rush. As for the offense? 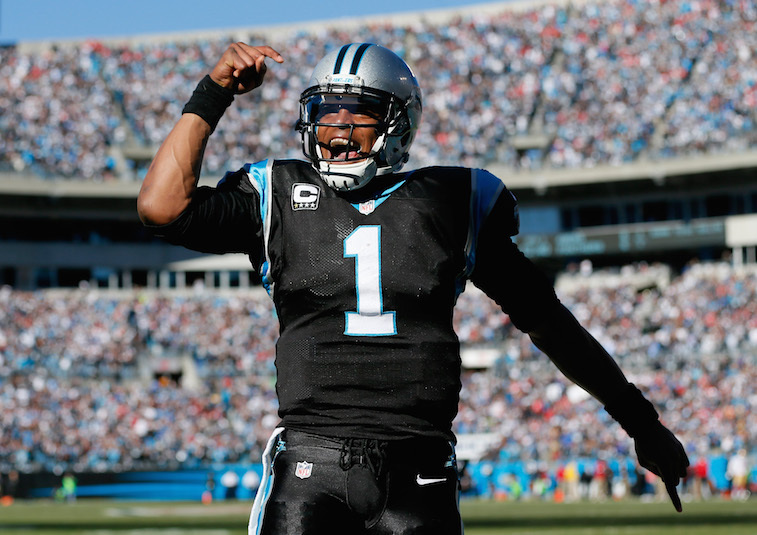 Well, Cam Newton has a new contract under his belt for starters. What’s been so incredible about Newton to this point is that, while he’s never topped a 61.7 completion percentage, he’s still winning games. Newton may not blow you away as a passer on any given Sunday, but his ability to run gives this team something that very few other NFL teams have. Kelvin Benjamin was tied for the most drops in the NFL in 2014 with 10, according to SportingCharts.com. Fortunately, he’s shown signs of growth this offseason and we believe he’s going to truly turn the corner and be the biggest playmaker on Carolina’s offense. Tack on consistent tight end Greg Olsen and you have plenty of weapons in the passing game — giving us ample reason to suggest that Carolina should still be in contention for the NFC South title. Now for the Saints, who finished 2014 with a 7-9 record. Their defense was the main issue, as they allowed 424 total points last season. Fortunately, Drew Brees is still rolling along at age 36, and is coming off a season where he threw for 4,952 yards and 33 touchdowns. Many have said that Brees is starting to lose arm strength and accuracy, but until the proof is out there, don’t buy it. There’s a lot to like about the Saints, even though they traded both Jimmy Graham and Kenny Stills. Brandin Cooks is poised to break out and become a superstar in this league, while the three-headed monster of Mark Ingram, C.J. Spiller and Khiry Robinson will wreak havoc this season. The offense wasn’t the problem though (it never is with the Saints), the defense is where the real questions lie. While New Orleans parted ways with both Junior Galette and Curtis Lofton, they added quite a bit of talent this offseason. Not only did they draft linebacker’s Stephone Anthony and Hau’oli Kikaha, but they signed cornerback Brandon Browner, defensive end Anthony Spencer and former CFL player, Delvin Breaux. Breaux is probably the most intriguing player of the bunch, as he’s a cornerback who we know very little about, but has truly shown huge upside. The Saints may have lost quite a bit of talent, but I think they’ll have a close-knit locker room this year. While the Saint’s probably won’t win the division, they should still have a strong season and push for a playoff spot. The Atlanta Falcons are my choice to win the NFC South in 2015. Dan Quinn has brought a new defensive mindset to this team and their addition of Vic Beasley is going to prove to be a great one. The defense is obviously going to be a major worry for fans, as they were tied for the second-fewest sacks in 2014 at 22, according to ESPN’s statistics. Expect this number to improve quite a bit in 2015 though. The offense in Atlanta is fun to talk about. 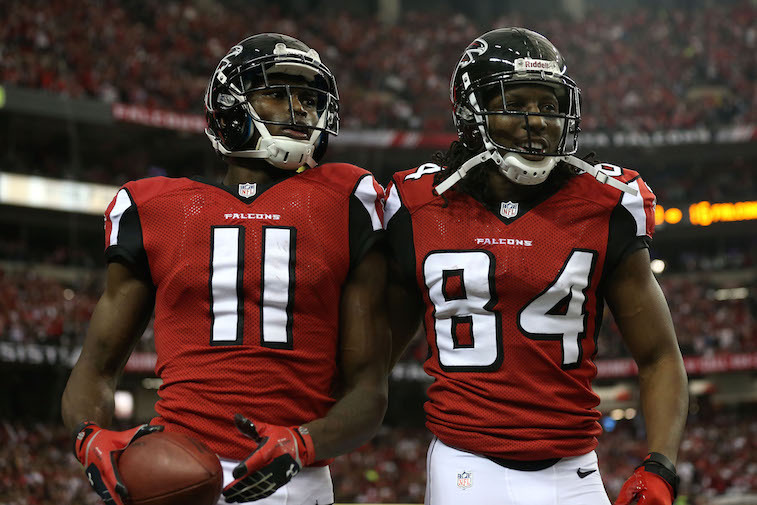 Not only are we raving about the combination of Matt Ryan and Julio Jones, but also veteran receiver Roddy White. We love the additions of both Leonard Hankerson and rookie Justin Hardy as well. Don’t be surprised to see Hankerson or Hardy step up in a big way in 2015. Atlanta’s offense has one big question though. Who will carry the load in the run game? Fortunately, they not only have second-year running back Devonta Freeman still, but got a steal when they landed former Indiana back Tevin Coleman in the third-round. New offensive coordinator Kyle Shanahan loves to utilize all of his running backs, so it wouldn’t be surprising to see Antone Smith get his fair share of work as well. The Falcons are the most dangerous team in the NFC South in 2015, even after a 6-10 record last season. The Buccaneers are going to prove to be one of the most dangerous teams in the NFC South before long. It won’t happen this season and likely won’t happen next year, but it’s going to happen. 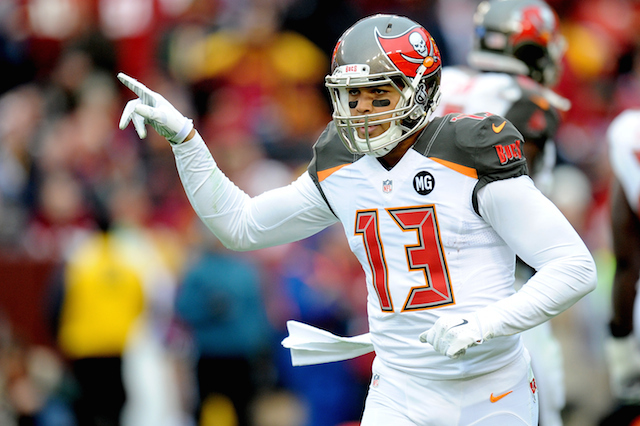 Jameis Winston and Mike Evans will also prove to be one of the most dangerous duos in the NFL. Winston is going to go through his ups and downs during his rookie year, but it’ll most likely wind up as a pretty successful start to his career. The Bucs should (obviously) finish better than their 2-14 record in 2014, but how much better is realistic to expect? Don’t be surprised to see the team win six or seven games this year. The Bucs have two incredibly talented defensive leaders in defensive tackle Gerald McCoy and linebacker Lavonte David. Also, don’t forget about the free agent additions of linebacker Bruce Carter, defensive tackle Henry Melton and cornerback Sterling Moore. Each of these players could make an immediate impact for the defense. The Bucs defense is still a question mark, but the offense has the potential to help them out quite a bit this season. Not only does Winston have massive upside, but Evans and veteran receiver Vincent Jackson should be leaders. FOX Sports also reported that running back Doug Martin has dropped 20 pounds and is getting loads of praise from new offensive coordinator Dirk Koetter. If Martin can get back to his rookie form, or anything close, it’s going to make Winston’s life a whole lot easier. On top of that, it will also allow the passing game to open up for plenty of big plays. Tampa won’t be in the playoffs this year, but they’ll take a huge step forward and become a playoff team sooner than later.